The summer is the best time to get out and do some home improvements to the outside of your home. If you are like me and live in a place where winters become crazy cold, summer is the only time to work on outside project. If you are also like me and have a home owners association, you have to keep your front and back yard looking good. We all don’t want to be “that” house on the street. You know the one, you are either side eyeing that house right now, or cringing because you are it. I was on the cusp of being “that” house on my street. My house was ok from far away, but up close the literal cracks (and faded paint) showed. So, I decided to get busy Adding curb appeal, how to paint shutters and front door . The adding of it is for my benefit, the how to is for yours. This is what I was working with. 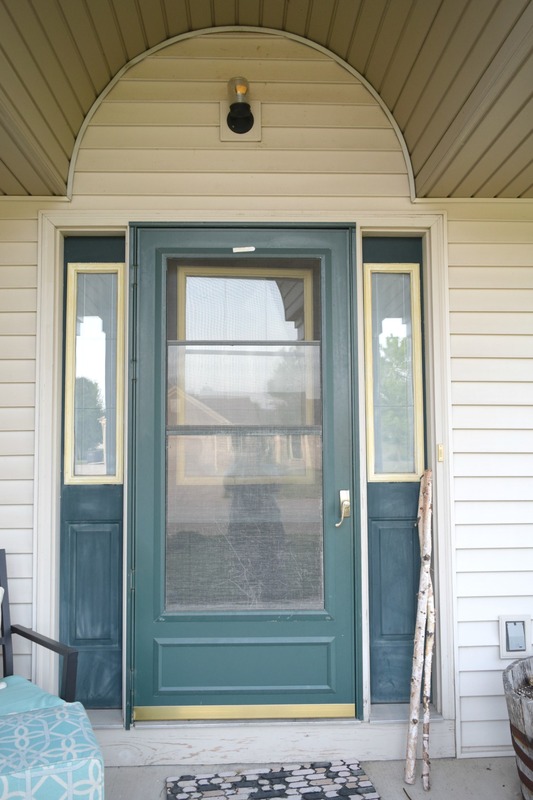 A sun damaged former dark green front door. It was rough, sad, and needing some love. 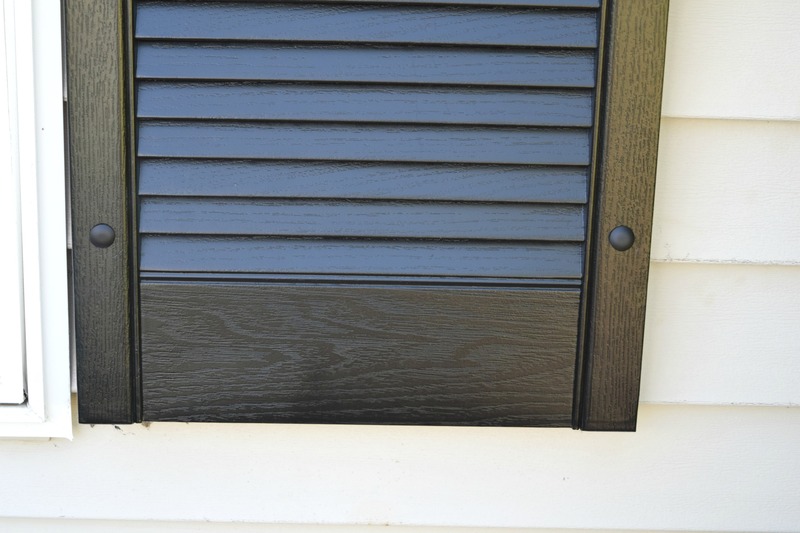 I also had matching dark green window shutters. They were not as badly faded, but they still needed some work to make them look shiny and new again. 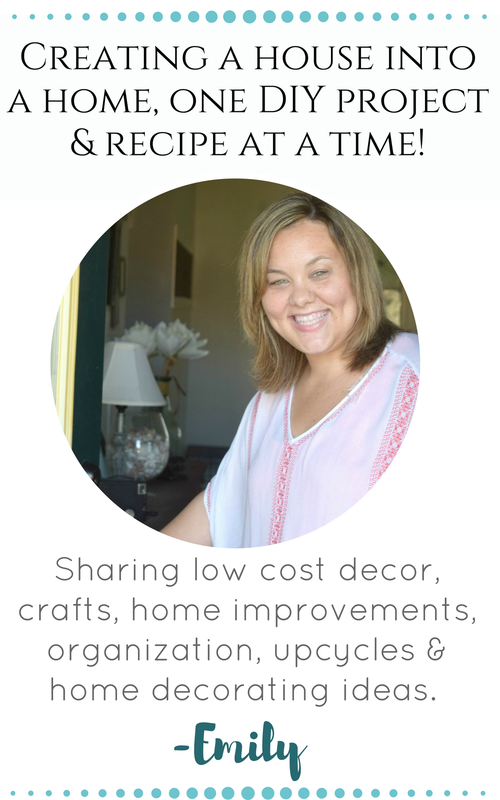 I am also not a big time green fan, I love the color but do not have a lot of it in my home. I am more blues and grays. So I wanted to go along with those tones on the exterior as well. You can see the interior of my home in the summer home tour I just shared. This whole shutter and front door redo was part of a curb appeal challenge that I did with a group of bloggers. I shared the process in the 4 week challenge and the final reveal. 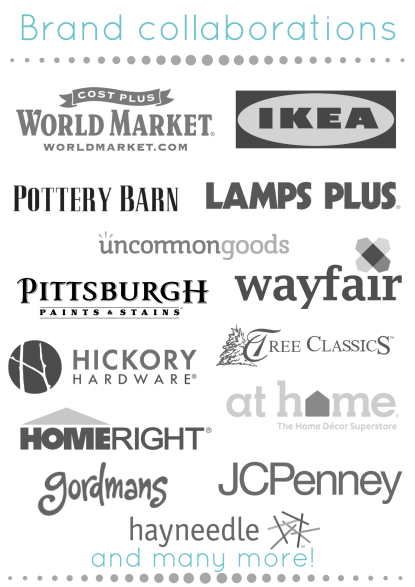 The details of that you can find here. Most of what I did involved the flowers and the decor. 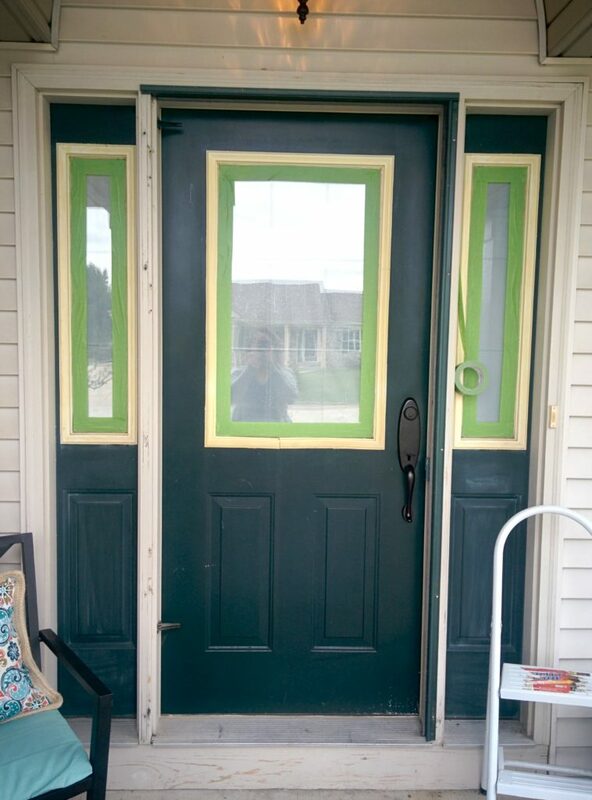 The only strictly home improvement I did was painting the front door and shutters. I shared a full tutorial of the interior side of the front door. 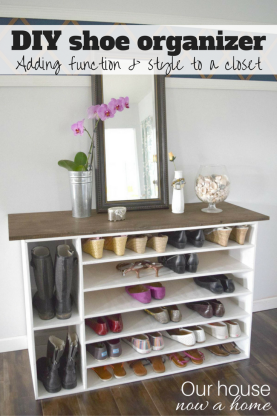 That has the full step-by-step instructions, which can be found here. Honestly, I feel like I say this a lot, but this was an easy job. Aside from the prep, you have to put painters tape on everything. Other than that it was rolling the paint onto the door. I had such bad images of me painting the door and having brush strokes seen, making it look like such an amateur job. I mean, I get it…. I am legitimately an amateur, but I like to “fake it ’til I make it” with things. 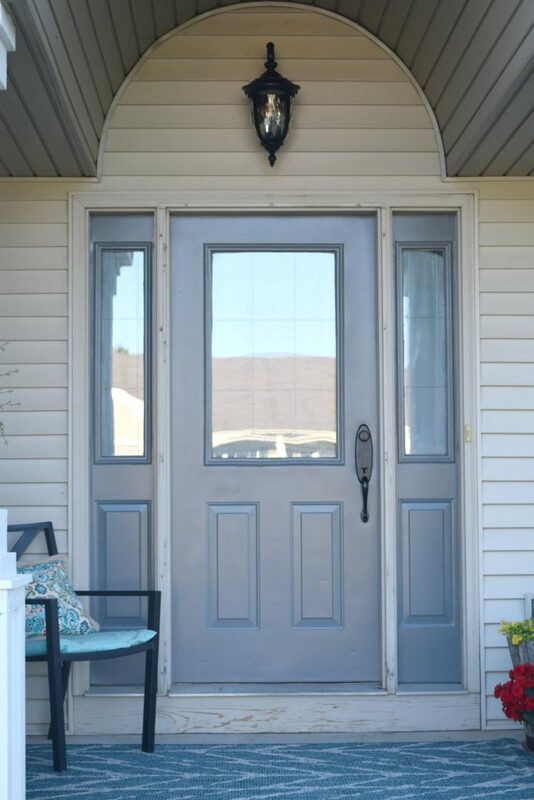 I adore the color of the door, I feel like gray is considered a neutral now. It is enough color to not feel boring but can go with a lot of other colors. Gray feels fresh, and modern. I am sure in ten years it will feel dated and soooo over done. For now I am deep in my love of gray and happy with the results. 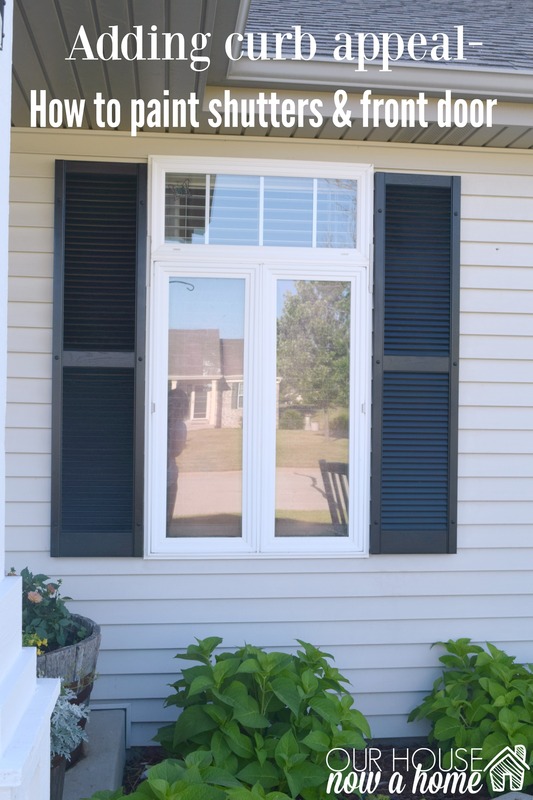 As far as updating the shutters, the most difficult part was getting them off of the house. I am not sure how other window shutters are attached, I assume each house might have a different set-up. 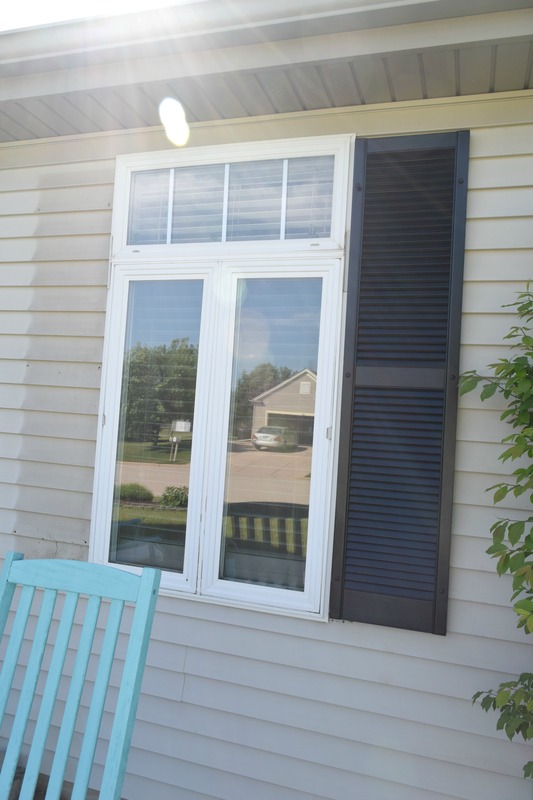 We have vinyl siding around the exterior of our home and there are holes drilled into the siding and then plastic nails put into the shutter, then the siding. That is how the shutters are secured to our home. The way to get them off is to pull them out. I was freaking out and imagining that the shutters would snap in half, or the complete exterior siding would become ripped off. Can you tell I go to worst case scenario every time? It was actually easy, with Dale stepping in for this DIY and using his muscle to get them off of the house. I decided to go with black for the shutters. I thought the pop of it with the white columns and light siding color would be a good contrast. I used a black sheen spray paint that goes on all materials. I did purchase new plastic fasteners, nails….. there is not a technical term for these little shutter accessories, but they are important. I was able to push them back into the same holes in the siding. 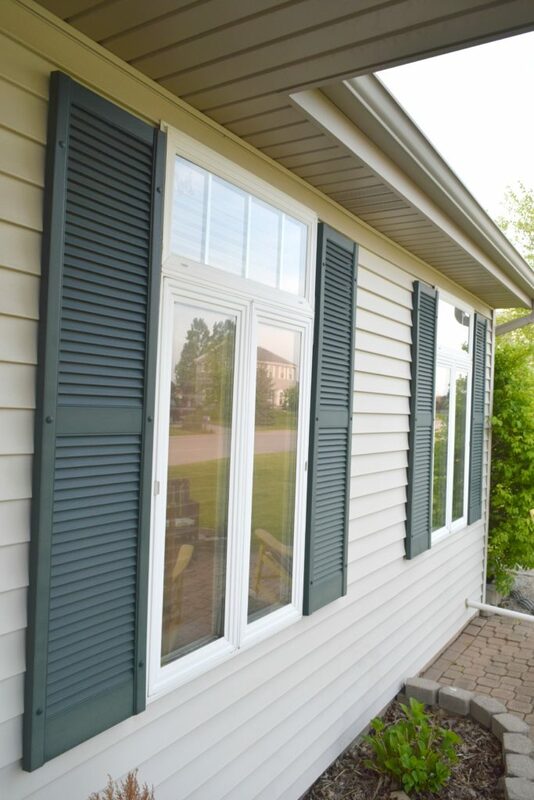 As you can see on the left, with the shutter still off, our home’s siding is experiencing some sun damage too. Crazy what the sun can do to a home. The difference is amazing! I love the pop of color the darker window shutters give. 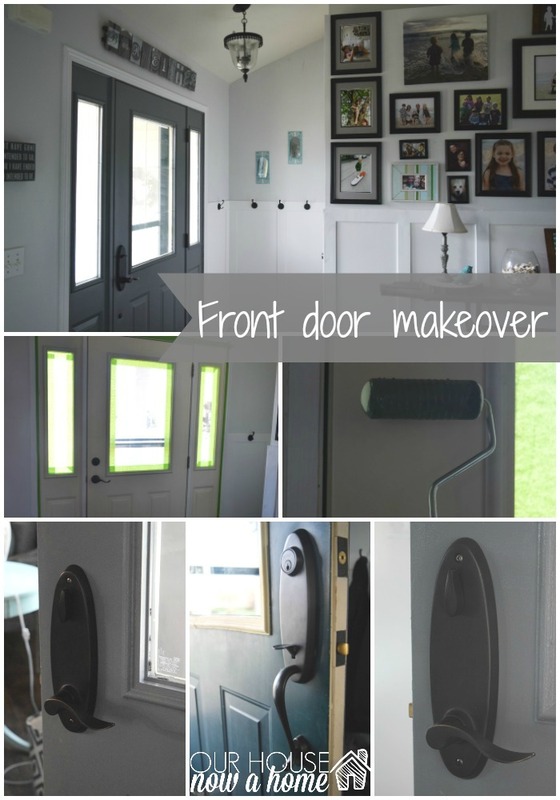 The dark green felt dated to me, and the gray with black is a simple way to update the home. 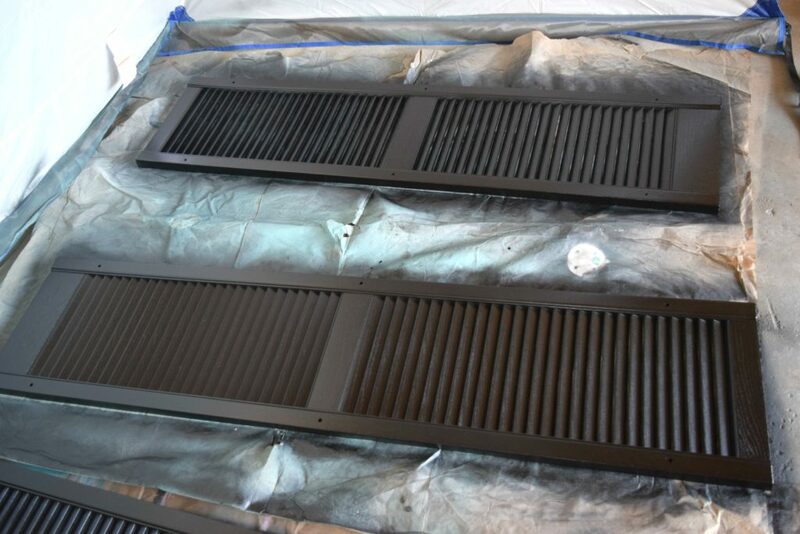 These two projects took one day to do, that includes the drying time in between coats. 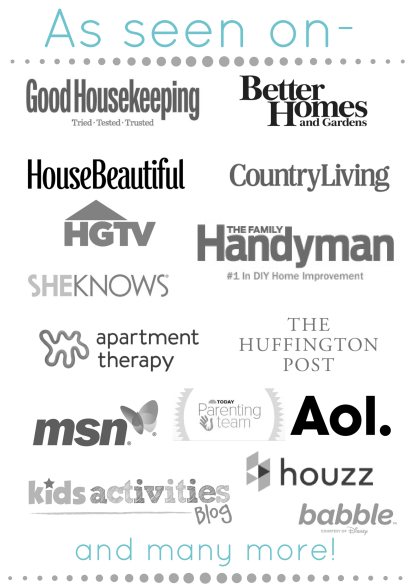 With just a little work, I can get huge results for my home! 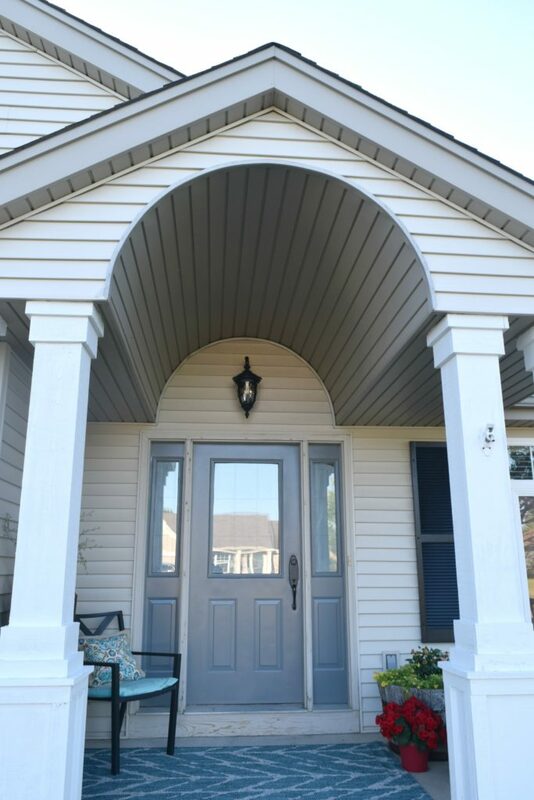 Adding curb appeal, how to paint shutters and front door is one of my favorite recent home improvement projects. I do not have a ton of time in my life and like to see results right away. 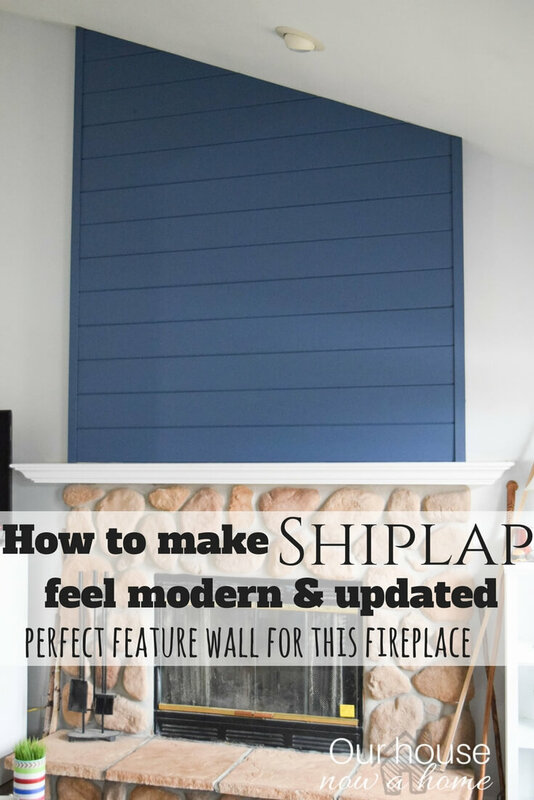 Contrary to what this blog may make it look like, I need things that can be fast and simple. Both of which is what these projects are all about! I have a few more projects to share with this curb appeal challenge, including this pretty turquoise furniture. I used a new tool and I am ready to share my experience with it. Look for that next week! This front door is what I want to welcome guests into my home. Not the sad and tired, faded former front door. I will be adding a screen door here, and will update a few of these pictures when that happens. 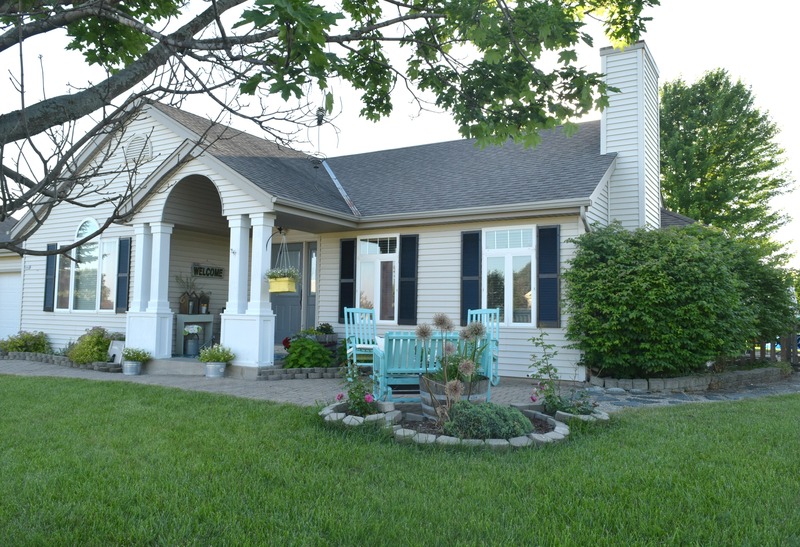 I think that Adding curb appeal, how to paint shutters and front door can be helpful to many. 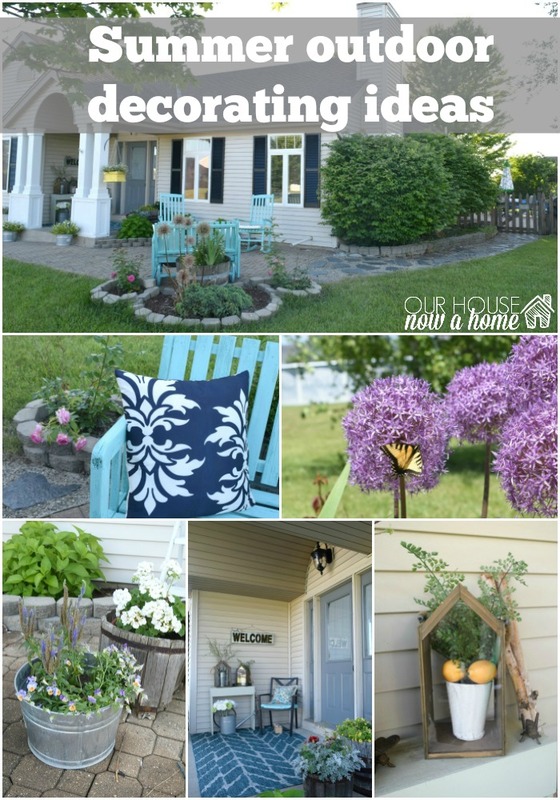 I know that when thinking of selling a home the first item to address is that curb appeal factor. Summer is the best time to sell a home, so little fixes like this will breathe some much needed brightness and updates to a home without a lot of money or skill needed. I now have passed on the torch of being “that” home to someone else on my street. I have DIY-ed my way out of that title for my home. 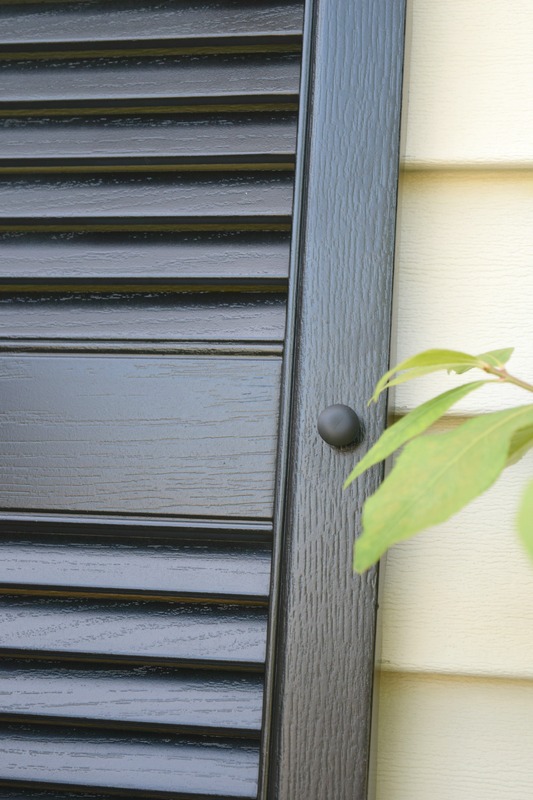 Have you done any updating to your home’s exterior recently? It looks great! 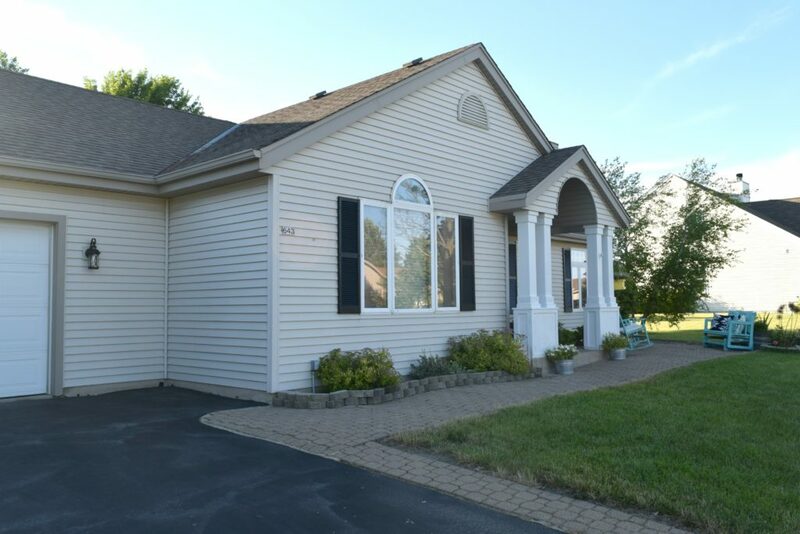 What a difference it made in your curb appeal! Nice work! It’s amazing how a little bit of color will really change things up! We did ours about 9 years ago – time for another color change! Wow. I really love the after photos. You did an amazing job! I love how this turned out!! 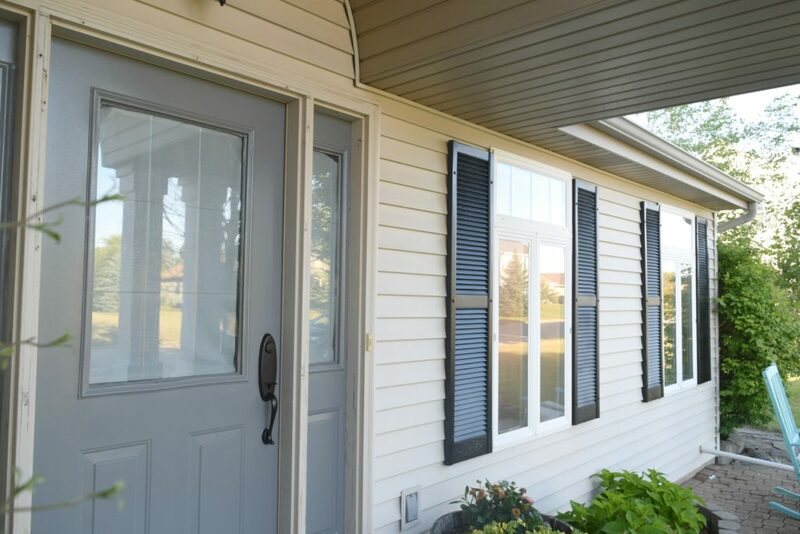 It is amazing what a difference paint can’t do to freshen up your house appearance. You guys did a great job! I love the colors and your house is gorgeous! You did an amazing job. Looks amazing! The contrast really makes them stand out now. You Did A Great Job The House Is Beautiful! Thank You For The Step By Step Process I’ll Pass On To My Hubby We Just Bought A House We Close On Wednesday!! 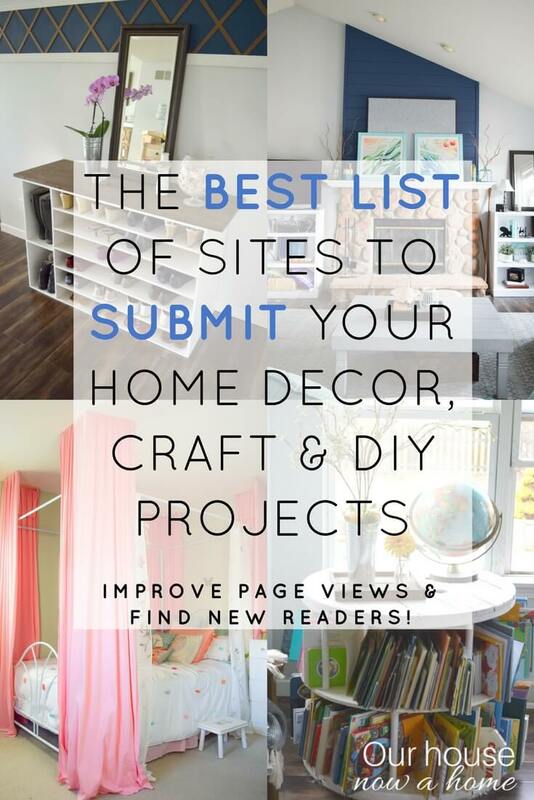 Wow… Your home looks totally updated!! We need to add a fresh coat of paint to out front door. What is the shade you used on the chairs? I love the colours you chose! So fresh and crisp. Perfect for all seasons! What a difference it makes to add just a bit of paint. It’s a beautiful home regardless, but I love what you did to make it feel even more welcoming. The dining set adds even more fun. I love this post! 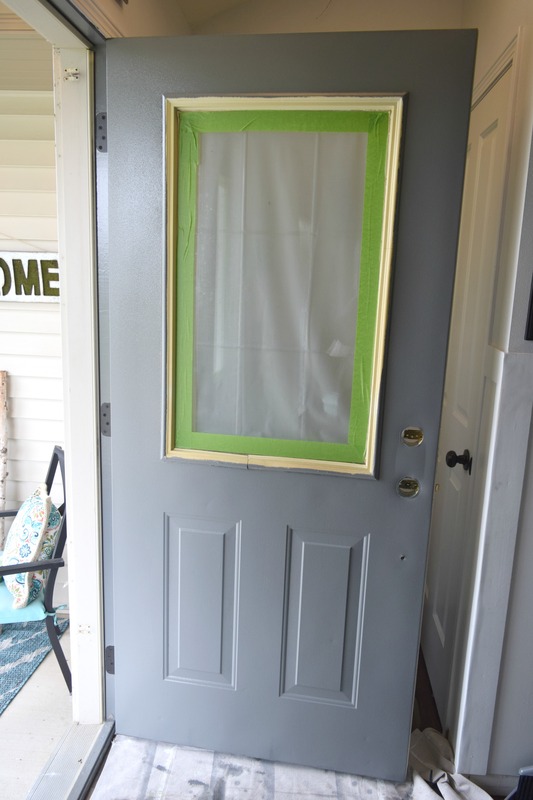 I enjoy decorating our backyard during summer and It’s a great idea to paint doors and windows too! Will try this! 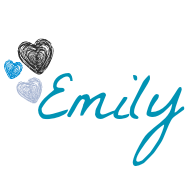 It looks so pretty Emily. 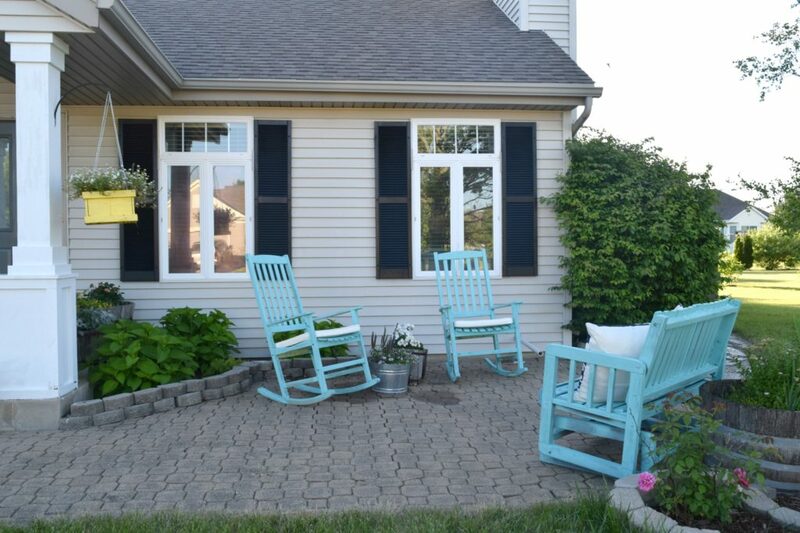 I love the pops of color with the aqua chairs and the shutters look great! You did a fantastic job! 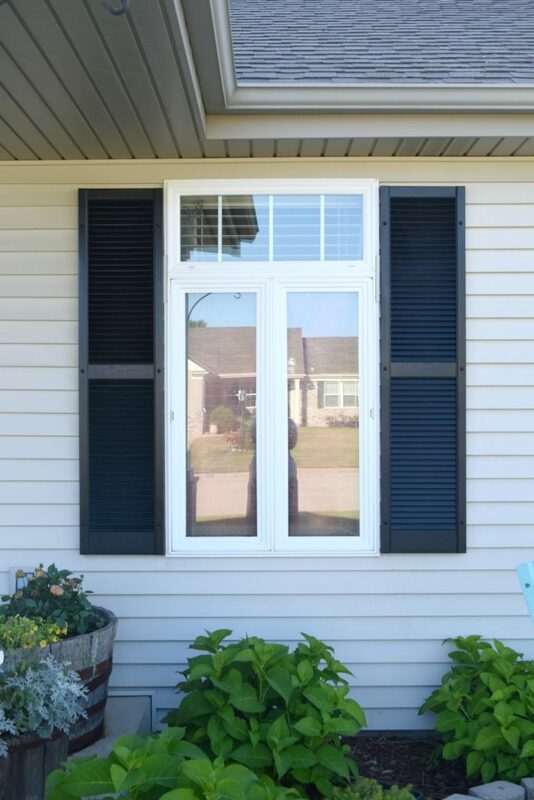 The shutters look great and I am so in love with your home. Every year I make a habit of cleaning the front entrance, painting any chips on the woodwork and sanding down rot. I also always check my gutters and give them a clean out if needed. But after seeing this post I think i’m going to take it one step further this October!